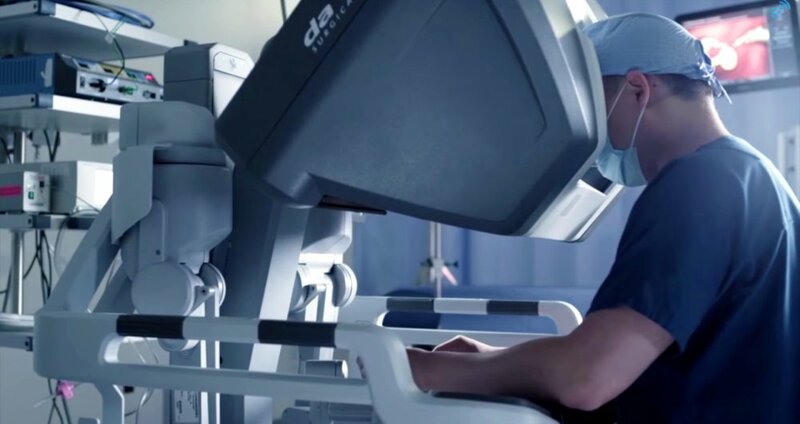 GAINESVILLE, Ga. – Northeast Georgia Medical Center (NGMC) recently reached a significant milestone – the completion of its 2,000th robotic procedure utilizing the da Vinci Surgical System. Through the expertise of 15 specially trained surgeons on staff, NGMC’s Robotic Surgical Program has successfully treated patients across a multitude of specialties including gynecological oncology, urology, colorectal and bariatric surgery, gynecology and general surgery cases. The da Vinci Surgical System allows surgeons to perform delicate and complex operations through tiny incisions with breakthrough vision, precision, dexterity and control. In some cases, surgeons are utilizing the robot to perform single site surgeries (meaning the surgeries are performed through one port – the patient’s navel), resulting in virtually no scarring. Northeast Georgia Medical Center (NGMC), a 557-bed community hospital in Gainesville, Ga., is rated Georgia’s #1 Hospital (CareChex®) and one of the nation’s 100 Top Hospitals (Truven Health Analytics®). NGMC is home to a medical staff of more than 500 physicians serving almost 800,000 people in more than 13 counties across the region. NGMC is part of Northeast Georgia Health System (NGHS), a not-for-profit which is dedicated to improving the health and quality of life of the people of Northeast Georgia. NGHS is currently building a second hospital, NGMC Braselton, which is scheduled to open in April. Learn more at www.nghs.com.